The maps and memoirs of Captain Daniel Hickey of the Tank Corps shed light on the Allied victory at Amiens in August 1918. This struggle helped decide the war on the Western Front and demonstrated that the British Empire forces there had evolved into a highly skilled and effective instrument of war. Germany’s attempts to break through on the Western Front between March and July 1918 had finally ended with the French counter-attack on the Marne. Launched on 18 July, this had forced the exhausted Germans back. With no victory in sight, and having sustained heavy losses, the morale of Germany’s soldiers now began to waver. The strategic initiative had passed back to the Allies. At 4am on 8 August 1918, General Sir Henry Rawlinson’s Fourth Army launched a major attack at Amiens against the vulnerable salient created by the German offensives. His assault was supported by the French First Army which attacked in the south. In Fourth Army’s sector, Rawlinson used over 2,000 guns, 450 tanks and 1,900 aircraft to support the attack by 11 divisions (three British, four Canadian, and four Australian). Many of the German defences had been hastily prepared and were vulnerable to attack. Over 500 of their gun batteries were knocked out by accurate Allied counter-battery fire at the start of the operation, thanks to a combination of sound ranging and aerial observation techniques. The attack was spearheaded by the Canadians and Australians. Their aggressive and innovative tactics had been well-honed during several earlier engagements, such as Hamel in July 1918. Hickey was a liaison officer with the Australian infantry and had to guide his three tanks on foot to their targets. Without men like Hickey, tank crews could not communicate with other tanks or with their supporting infantry due to the noise of their machines and the sounds of battle. The tanks were to flatten barbed-wire defences or destroy machine-gun posts that might slow up the infantry. Many tanks were fitted with huge bundles of sticks, known as fascines, to be tipped into the deep ditches of the enemy lines. These would form bridges over which the following tanks could crawl. Hickey’s maps show the movements of his tanks during attacks on 8 and 10 August. By such methods, the attackers broke the German front. The new light Whippet tanks, armoured cars and cavalry were able to continue the breakthrough. British and French aircraft attacked the Germans as they retreated. In the days that followed, the Allied advance gradually slowed. German resistance stiffened, the advancing troops outran their supporting artillery and many of the tanks were knocked out by enemy fire or suffered mechanical failure. Hickey’s unit remained in action throughout the battle. On 10 August, he led his section in a poorly planned night attack at Proyart alongside the 37th Australian Battalion. This time, the Germans knew they were coming and the darkness made it hard for the tanks to move safely over the unknown ground. After being bombed by a German plane, the attackers’ presence was revealed to the enemy. Despite the heavy fire, Hickey tried to direct his tanks by ‘battering on the front with my stick to attract the attention of the officer inside’, but was once almost ‘jammed between two tanks as they struggled to turn’. Soon after, one of these tanks was ‘perforated on all sides by armour piercing bullets and all the crew, except two were wounded’. By this time, the German anti-tank fire had successfully stalled the advancing tanks and the infantry had sustained very heavy losses. The operation was soon called off, with nearly all of Hickey’s men being wounded. Despite occasional setbacks, like Proyart, the wider campaign continued to succeed. By the end of the battle, on 12 August, a gap of nearly 24km (15 miles) had been punched in the German line south of the Somme. On 8 August, the Fourth Army had taken over 300 guns and 13,000 prisoners while the French captured a further 3,000. That day, total German losses were estimated to be around 30,000. 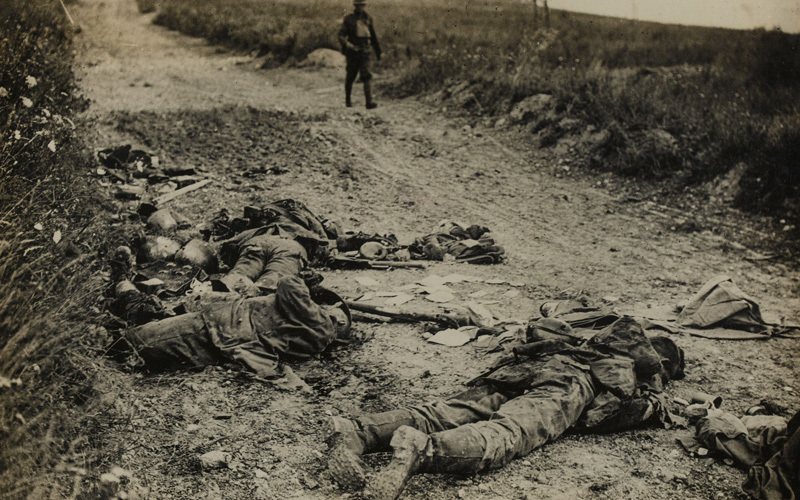 The Allies suffered about 6,500 killed, wounded and missing. It was the first time that such large-scale capitulations had occurred. The German Commander-in-Chief, General Eric Ludendorff, called it ‘the black day of the German Army’ due to the collapse in morale. Both Ludendorff and the Kaiser now concluded in private that Germany could no longer win the war. Amiens was a turning point in the struggle on the Western Front. The battle illustrated that the British Empire forces had learned how to combine infantry, artillery, tanks, cavalry and aircraft in a co-ordinated ‘all arms’ attack. Hickey’s work with the Australians is a good example of this process in action. Now a mighty and sophisticated instrument of war, the British, Australian and Canadian force would take the lead in defeating the Germans. Amiens began the period known as the Hundred Days, a continuous series of offensives along the line that drove the Germans back, eventually forcing them to sue for peace. Daniel Edgar Hickey (1895-1976) was born in Buenos Aires on 24 March 1895. He was the son of DJ Hickey of the Buenos Aires Great Southern Railway Company, one of several British-owned companies that built and operated railway networks in Argentina. In 1910, he travelled to Britain for his education, attending Haileybury School. Hickey later graduated from the University of London with a First Class Degree in Spanish. While studying there, he also joined the University of London’s Officer Training Corps (OTC). In 1915, he was commissioned from the OTC as a second lieutenant with the Suffolk Regiment. But in November of that year, he was on the way back from manoeuvres on the Gog Magog Hills when he crashed his motorcycle. After two months in the First Eastern General Military Hospital at Cambridge, Hickey was passed for light duties in England. He then attended several instruction courses at the School of Musketry at Hythe, and the Machine Gun School at Grantham. Hickey transferred to the Tank Corps – then known as the Heavy Branch of the Machine Gun Corps – in December 1916. After training at Bovington Camp in Dorset, he arrived in France on 22 August 1917. He had been promoted to lieutenant in April of that year, and acting captain in early August. Hickey first went into action in October at the Battle of Passchendaele (1917). In December 1917, he took part in the mass tank attack at Cambrai, where his section captured the village of Fontaine-Notre-Dame. When the Germans counter-attacked at Cambrai, Hickey was second-in-command of a group of tanks that drove the enemy from Gauche Wood, an action that was mentioned by General Sir Douglas Haig in his official despatches. 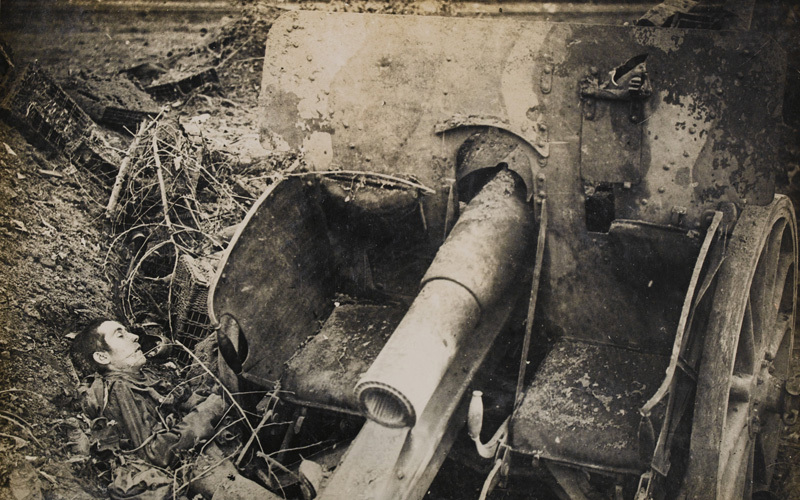 Hickey’s tanks also covered the retreat of the 2nd Division during the German Spring Offensive in March 1918. Hickey was posted back to England at the end of August 1918 as part of a training cadre for the 20th Tank Battalion, then being raised at Bovington. He left the service in January 1919. After the war, he worked as a chartered accountant and lived with his sister Annie at Park Avenue, Golders Green, London, NW11. In 1929, he married Elsie McGuffin of Belfast. The couple later resided at 48 Somerset Road, Wimbledon Common, London SW19. Hickey later worked as a sub-editor for BBC Southern European News in 1941. As well as writing his memoirs, he was the author of several plays in the 1930s, including ‘Youth in Armour’ and ‘Over the Top’. He later settled at 38 Westfield Road, Lymington, Hampshire, where he died on 18 January 1976.